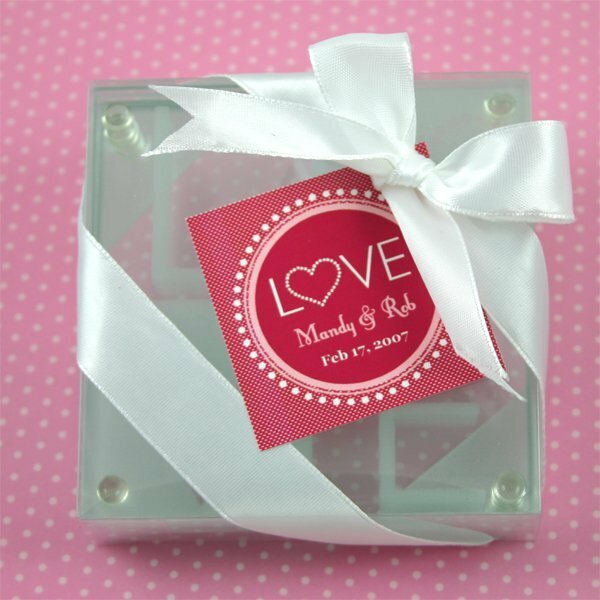 Let your guests know that "Love" is in your heart on your special day. Customize each favor with our heartfelt "Love" Personalized Wedding Tags (non sticky back) or Label Stickers. For that personal touch, choose from a variety of colors and add 2 lines of custom text (Max 16 characters per line). Label size: 2" square. Sold in sets of 20.